MANILA-- The Chinese Embassy in Manila is planning to forge more agreements with Philippine universities, as it cited the positive outcome of existing student exchanges aimed at strengthening the Manila-Beijing relations. 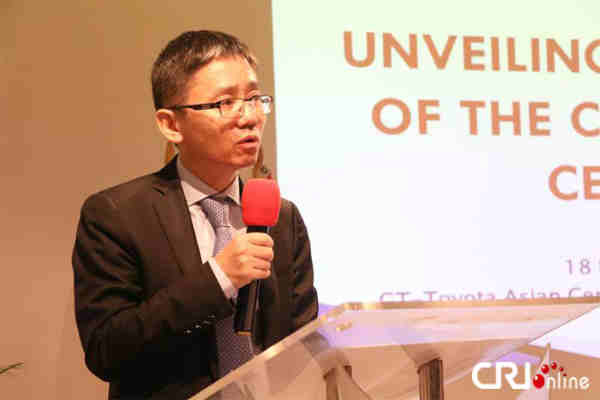 "We have two university partners but in the future we will consider expanding the program to other universities as well," Chargés d'Affaires Tan Qingsheng said on the sidelines of the recent Embassy Scholars' Reception in Makati City. "Right now we are satisfied with the results and those students have been invited to China to see for themselves to strengthen understanding and friendship," he said. Since 2014, more than 200 students from the Philippine Normal University (PNU) and the University of the Philippines have benefited from the embassy's education program, while some others have been sent to China and its provinces for learning tours. PNU Bachelor in Mathematics and Science Elementary student Edralyn de Guzman, who was among the students sent to Beijing under the youth program, hailed the embassy's initiative as an avenue that enabled them to understand the South Asian country more. "For me, personally, my perspective quite changed with regards to China or with the people actually," she said in an interview. "Maybe we should have exchange programs in the future so that they (Chinese students) can learn Filipino and students here can learn Mandarin," he said. In his speech, he said "good bilateral relations between nations can only be based on good understanding and friendship between the peoples".